This page shows the latest LigoCyte news and features for those working in and with pharma, biotech and healthcare. 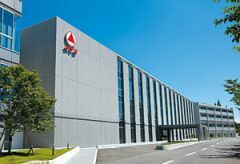 Takeda acquired rights to TAK-214 when it bought US biopharma company LigoCyte in 2012 in a $60m deal and says it remains the only norovirus vaccine candidate in clinical development. The LigoCyte acquisition is part of the expansion of Takeda's recently formed Vaccine Business Division. ... 90+. ‡Theravance / Alfa Wasserman. Development, commercialisation &option. Velusetrag for gastroparesis (phase IIa) . 64. LigoCyte /Takeda.